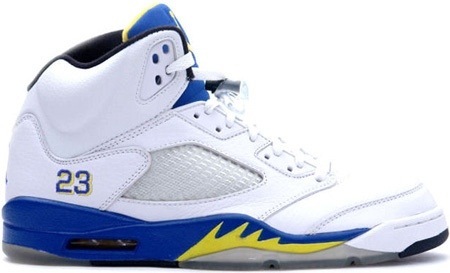 The Air Jordan 5 Laney, release date is set for November 2 at the price of $160 .This Color way will be a big release since they are not the usual Chicago bulls color way. 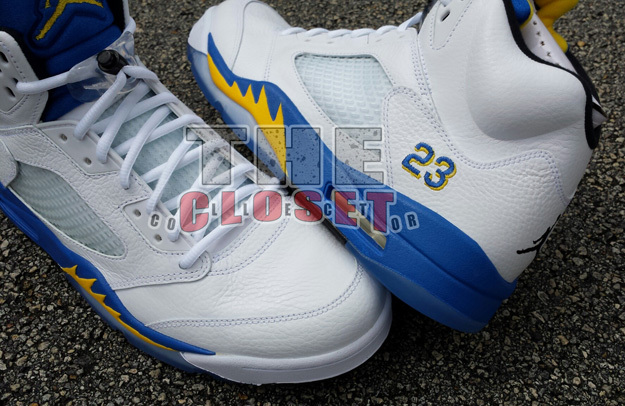 Instead, he’s showing love to Laney; His high school in North Carolina . Jordan accomplished so many milestones in 1990 with this particular design that was inspired by the WW2 Mustang fighter plane. 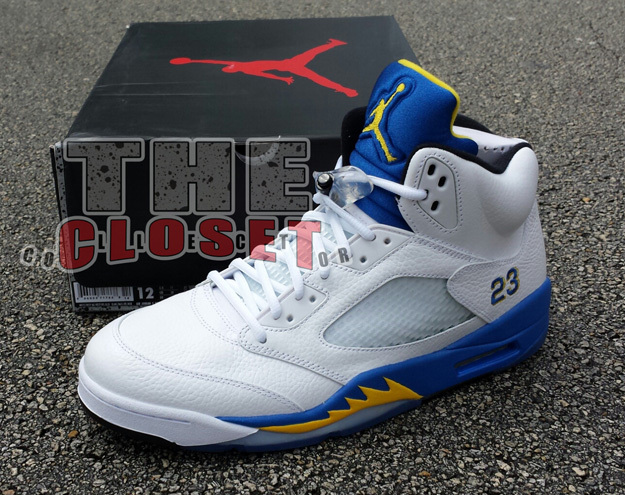 The most eye catching element of the inspiration is the shark teeth shapes on the mid-sole of the shoe.It also was the first Air Jordan shoe to have a clear sole , a reflective tongue and a lace lock. He defeated Magic Johnson to win his first NBA title, took home the scoring title, was named an All-Star, made NBA First Team, and All-Defense while playing in these Iconic shoes. 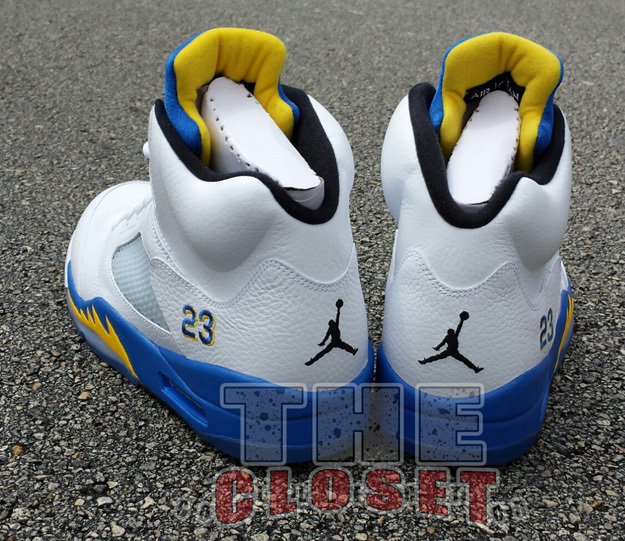 This color way is sure to sell out , good luck with finding them. More photos below.